As T-mac is retired and VC is also nearing his retirement, we take a look back their best moments and compare them 2 since they are both cousins and also played for the Raptors together. I hope you enjoy this video and please let me know who you think is better in the comments below. Also, it would be nice if you could subscribe to my channel, as I will be making more NBA videos in the near future. Also let me know if you liked this video or not, and if there is anything that I need to improve on. I tried to grab as many VC & T-mac clips as I could. Thanks for reading and please enjoy this video in HD! 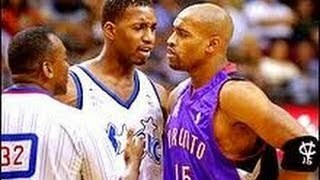 Tracy Mcgrady Career Mix HD - YouTube FOR MOBILE VERSION (LINK IS BELOW) ... Vince Carter Career Mix HD. Larry Bird Career Mix HD. Dennis Rodman Career Mix HD.